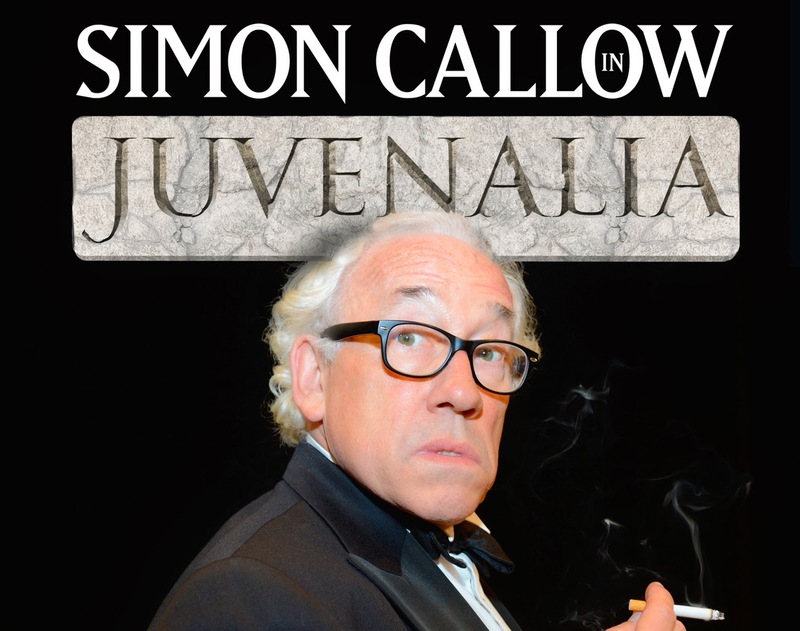 Simon Callow returns to the St. James Theatre following a recent appearance in Great British Musicals in July 2014 to perform in Juvenalia, from Tuesday 26 – Saturday 30 August 2014. Juvenalia, which comes to the St. James Theatre directly from the Edinburgh Festival, is written by Juvenal, adapted by Richard Quick and directed by Simon Stokes. Set design is by Robin Don with lighting design by Chahine Lavroyan. Simon Callow does stand-up comedy - filthy, scabrous, politically incorrect – as he lambasts foreigners, plutocrats, women, gays - as last delivered in Rome AD 100. Juvenal was one angry white middle class male. In Juvenilia he tells it like it was. And is. The writer, Juvenal, born circa AD 55, wrote sixteen satires that attacked the decadence of Rome in its heyday. Here we are given a view into the moral decline that is as relevant now as it was back then. Simon Callow’s previous theatre credits include Tuesday At Tesco’s (Fringe First Award and Herald Angel Award), Being Shakespeare, Waiting for Godot and A Christmas Carol. Film credits include Amadeus, Four Weddings and a Funeral and Shakespeare in Love. The St. James Theatre opened its doors in September 2012 on the site of the old Westminster Theatre. The space includes a 312 seat theatre, an intimate studio space, a restaurant and bar. Currently playing is the critically acclaimed Invincible by Torben Betts, directed by Ellie Jones. Further main house productions to date include the UK premiere of Urinetown the Musical, which will transfer to the Apollo Theatre in the West End from September 2014; the revival of Tell Me on a Sunday, which transferred to the West End and received an Oliver Award nomination; the sell-out production of Sondheim revue show Putting it Together; Sir Trevor Nunn’s production of Ingmar Bergman’s Scenes From a Marriage, starring Olivia Williams and Mark Bazeley and Sandi Toksvig’s Bully Boy.